How do you feel when you create? By planting creative seeds, you will grow a garden. Creating is healing. Creating is food for the soul. Creating lifts your spirit. Make stuff. Cook stuff. Write stuff. Draw. Sing. Dance. Crochet or knit. Garden. The art and creating is in the DOING. If you are like me, it is the DOING that is so difficult. The instant I begin, the critics take over in my mind. I have used every excuse in the book to avoid creating. The familiar demons of fear, judgment, perfectionism, procrastination, resistance, overwhelm and self-sabotage are always close. But once I have an idea, it consumes me. I get excited and it is all I can think about. Add other people to the mix and you can soar. Creating with a group and having the support and energy of others can make such a difference. It’s kind of like exercising. Combined energies just give you a lift. You get ideas from other people and they get inspiration from you. It is a community of creating and working together. 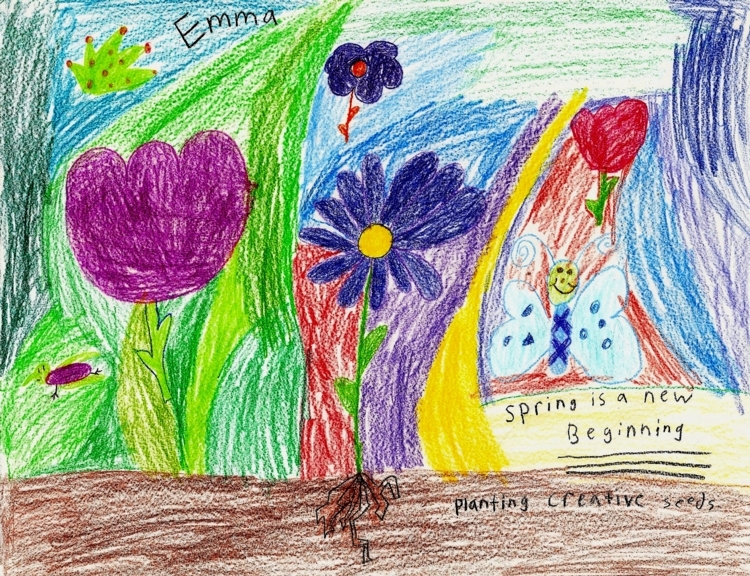 Part of the mission statement of the American Art Therapy Association is,” the creative process involved in art making is healing and life enhancing.” Professor Shaun McNiff says, “Art and creativity are the soul’s medicines - what the soul uses to minister to itself, cure its maladies, and restore its vitality.” He says that art heals and creativity cures the soul. So, the bottom line is that creating is just plain good for you! If you are having trouble starting alone, invite a friend over and make a craft together. Check out the park district offerings, workshops, adult education, community colleges, classes, and local groups. Art seems to have a way of FINDING YOU once you set your intention and begin looking. The hardest part is where to begin. If it is art that is calling you, pick up a few simple materials (don’t go expensive) and just play with them. Glue a picture or article to a piece of paper and do doodle dances (scribbles) around it. Color on your newspaper. Make drawings around this article. By just making movements, you have planted seeds for a creative journey. Do it for YOU. Be extra gentle and kind with yourself. The seeds are spirit and they live in your heart. Be willing to let your heart express and unfold. Let go of perfection. The power of art is available and inside the seeds of our being. Turn within and nurture that tiny beginning. It will unfold and grow. Take baby steps. Just plant and water the seeds. Restore your spirit through self-expression. Rediscover the world.